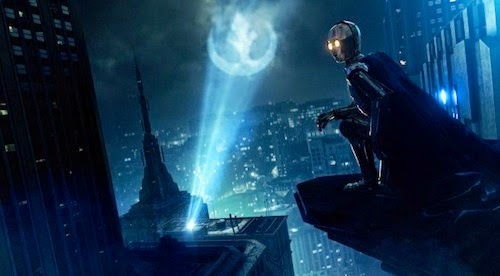 Bad Robot has tweeted an image of the prissy protocol droid C-3PO dressed as Batman responding to an Alliance signal in place of the iconic Batman logo. This playful game of Twitter tag began when Batman v Superman: Dawn of Justice director Zack Snyder posted a photo depicting Henry Cavill dressed as a Jedi Knight and wielding a lightsaber. Any thoughts on this latest crossover? Let me know in the comments below.